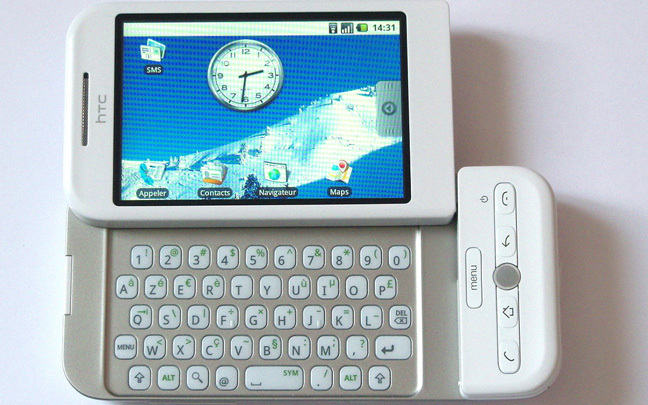 The HTC G1, released in 2008, was the first Android smartphone. You may be feeling old today. After all, it is the 10th anniversary of the very first Android smartphone — the HTC G1. It arrived on T-Mobile, which was still considered an inferior network to AT&T, Sprint, and Verizon at the time. It had a thumb keyboard. (Yes, those were still sort of popular in the late 2000′s.) However, it didn’t have a headphone jack, and Bluetooth headsets weren’t popular yet. There was no video recording. (Remember, video recording didn’t arrive to the iPhone until 2009.) But it was the start of what would be many Android smartphones. Android finally got their act together by the time the Motorola Droid was released in late 2009. By the time Samsung released the Galaxy S2 during the summer of 2012, Android phones were actually outselling iPhones. Throughout the decade, it’s been iOS vs. Android. Let’s take a look at the present-day Android vs. Apple’s iOS to see which operating system comes out on top in 2018. 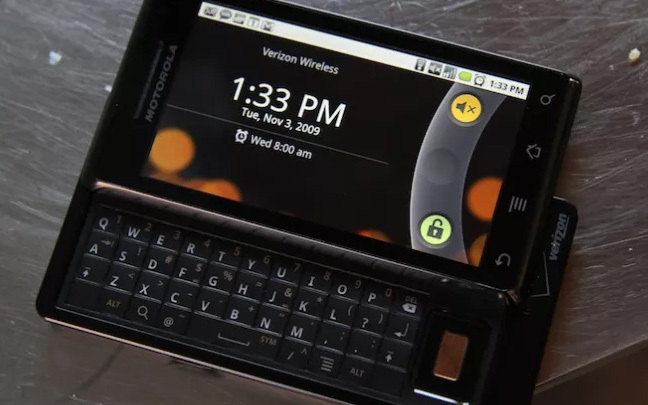 The Motorola Droid, released in November of 2009, was a breakthrough for Android smartphones. High-end Android smartphones, especially ones designed by Samsung, are slick, beautiful, and have become easy for regular consumers to use. There are some cheaper Android handsets that lack decent screens, decent speeds, and an overall disappointing user experience. The only iOS phones are made by Apple, so there isn’t a wide variety of choices when choosing an iPhone. 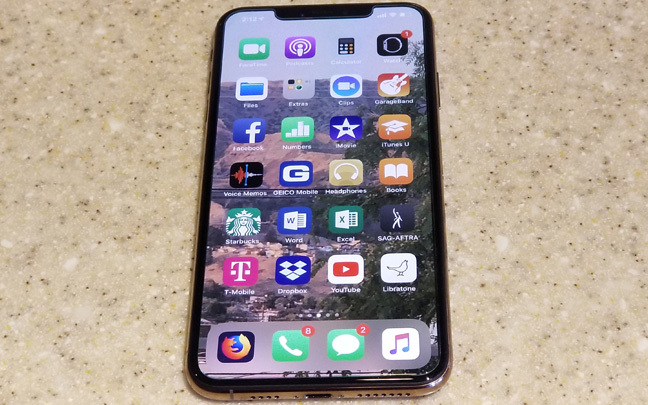 But no matter what iPhone you end up with, expect it to be a premium device that is easy to hold, easy to operate, and screams quality in every aspect. Android has come a long way in the past 10 years, but it can still be somewhat clunky for beginners. Apple doesn’t release an operating system until it is thoroughly tested and runs as smoothly as butter. Android may give the user more custom choices, but iOS simply works better. While it’s true that Android offers the most apps with Google Play, it’s iOS that offers the best apps. Since Apple is strict about the types of apps it allows, you can be certain the App you (sometimes) pay for is high quality. Android apps have a history of compatibility issues since there is so much fragmentation with developers. iOS runs smoother than Android. When an update is available for the latest iOS operating system, you can bet that users with compatible phones get the upgrade the day it’s released. The same can’t be said about Android users, who sometimes have to wait several months for the latest Android operating system upgrade. Sometimes, smartphones that are compatible never get the latest Android update at all. Android has come such a long way from its introduction ten years ago. At the time, it seemed like the operating system would fail. It hasn’t, but it still has a way to go to match iOS. This entry was posted in Review, Tech News and tagged Android, Apple, iOS. Bookmark the permalink.